Just when we thought we had seen the back of Summer, along comes this weekend with glorious sunshine all day long. The crowds have been out in force in both Llandudno & Colwyn Bay, with business looking to be very good for the assorted purveyors of Ice Cream, Lattes and 'Fancy Goods'. 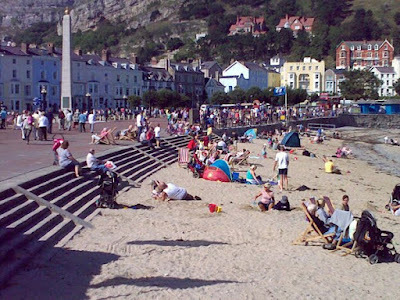 Businesses such as Ski Llandudno, the Summit Complex and the Cabin Lift have also been doing a roaring trade - it's all very pleasing to see. 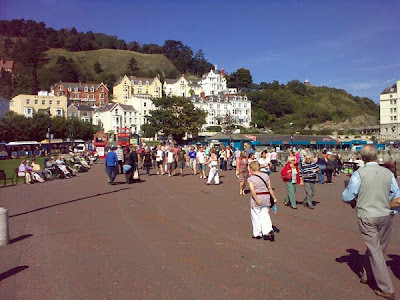 In fact, today (Sunday the 13th September) has looked busier in Llandudno than at any time during this last Summer. An extension to the traditional Summer trading period is, I'm sure, always much appreciated!